What factors can be attributed to Rath’s performance on the scaffold on that hot July day? Considering that 50% of the hangings appear to have been mishandled, it is easy to become suspicious about the results. The first question to ask is whether Rath was a competent or experienced hangman? No record of this is known to exist. So whether he was capable of performing this multiple hanging or not, the appearance of potential sabotage is raised. Hangman Christian Rath adjusts the noose around the neck of David E. Herald while George Atzerodt looks on. Apparently, Atzerodt and Mary Surratt were the only two of the four to die cleanly. The second question is more ‘conspiracy based’ and eludes to a more sinister motive. Could Rath have intentionally manipulated the event, shortening the ropes to the detriment of the victims? Given the mood of the day and the outright blood lust to avenge both Lincoln’s assassination and to punish the South for the war, it is plausible that this scenario is possible. Perhaps Rath, acting alone, or on orders from his commanders or government officials, ensured that some, if not all, of the conspirators experienced difficult deaths. In particular, Lewis Powell and David E. Herald, who were directly involved in the attack on Secretary of State William Seward, suffered the most on the gallows. In the end, it’s all conjecture but makes for an interesting discussion/debate. My personal belief is that the hangings were appropriately arranged based on the knowledge and standard of the day. Please feel free to add your input and opinions. If you have more accurate information, please include your references for all to review. Hi Philip. Thanks for writing. I’m not aware where Rath’s revolver would be but hopefully one of my readers can comment. I did ask Laurie Verge at the Surratt House Museum and Steven Miller about your request. This is a question that has not been asked of them before. They did not have an answer either. If lucky, perhaps someone may know about the gun. this subject about hanging is really a nightmare,having gone on a tour of the Crumlin road jail.in Belfast,by the way it is also called goal,why I do not know,this jail as I call it, being over a hundred years old,and had a room in it which was the hanging room,but the door was disguised by a movable cupboard,which opened to a floor with a trap door,which meant that the prisoner was calm before execution as he did not see the gallows as depicted in your illustrations of the hanging of Abraham Lincoln,s assasins.The jail is now open for tours,I was ill for a week afterwards just thinking about this foreboding place,but very historic building. Hi Pat. Always good to hear from you. Pat lives in Ireland and is a decendant (grandson) of one of the Titanic passengers who sadly, went down with the ship. Thank you for your comment about the jail and its hanging room. Hanging has been used as a form of execution for centuries. And although normally carried out as a form of punishment, it also has served as entertainment and sport for the masses. Execution has a morbid fascination for the human race. You can hate it, love it, support it or be opposed to it. It doesn’t matter, the fascination still draws people in. It’s a sad commentary on the human race but one that is very real. I have never seen those close-up photos. Sickening. Poor babies! Hi Julianne: Thanks for your comment. The close ups of these photos are indeed sickening, yet fascinating. After studying these photos in minute detail over the past two years, and combining that information with the historic record, my writing partner and I have come up with some great new information about the event and the people involved. We have had great help from the Lincoln research community and can’t wait to share it with everyone. Not that I am not an admirer of Lincoln, he was the best president ever-but I don’t think all of them deserved to die that way. Hi Julianne: The history of Abraham Lincoln is very interesting. What will surprise many people was that he was in fact one of the most hated Presidents in history if you look at it from his contemporary times. He was viciously attacked by newspapers in both the North and the South, by members of his own party and by the general public. He was the scapegoat who could be blamed for all the country’s woes due to the Civil War. He only became revered as a martyr after his assassination and is thought of, to this day, as our greatest President. In retrospect, what he did during his presidency shows that he was a gifted leader and worthy of our respect. But back in the day, he was considered a complete failure and was hated throughout the country. Surprising but true. Regarding the execution of the conspirators, the debate still goes on to this day as to who should have been executed. Eight went on trial, four were condemned to death, four were sent away to prison. No one challenged the sentences of the three men that were to hang. But the execution of Mary Surratt was a huge issue and is still argued to this day. Robert Redford has completed a movie called The Conspirator which will be shown at the Toronto Film Festival this September. It is the story of Mary Surratt and one of her young lawyers who defended her. I visited the set during the some of the shooting last November in Savannah, GA. They take the approach that Mary Surratt was innocent. But just as many people take the side that she was guilty and deserved the punishment she received. It makes for great debate. Thank you for your reply and more information! We tend to look at this through 21st century eyes and whenever I have read a historical book I’ve had to try to get their perspective. The nation was angry at Lincoln’s murder, and wanted scapegoats to punish. Although Powell/Payne definitely fit the characterization of a real murderer (or would be murderer!) the other three, from what I have read, strike me as such ordinary people with ordinary human flaws. They were in the wrong place at the wrong time, influenced by the wrong person (JWB!) So as a result Booth destroyed many lives beside’s Lincoln’s and his family’s that night. Again, thanks! I will keep reading this blog. Hi Julianne: Thanks for your comments. It is absolutely true that we look at history through 21st century eyes. Many decisions that were made back then are criticized by today’s standards and unfortunately don’t always get the proper understanding they deserve. The nation was indeed angry at Lincoln’s death and the government was under pressure to react. Lewis Powell was guilty of attempted murder and had accepted his fate right from the start. The other seven conspirators who were put on trial each had some involvement, or as you state, association with Booth, which certainly made for damning evidence against them when put on trial. Sam Arnold and Michael O’Laughlen were both childhood friends of Booth and were initially involved in the conspiracy with him to kidnap President Lincoln. When that failed, they left and went back to Baltimore. Although they were not involved in the assassination, they had been involved in the kidnap plots. For that, they were given life sentences. Dr. Samuel Mudd treated Booth’s broken leg, during his flight from Washington. There are many sources that show Mudd was an acquaintance of Booth prior to this meeting. For Mudd’s part, he was also given a life sentence. 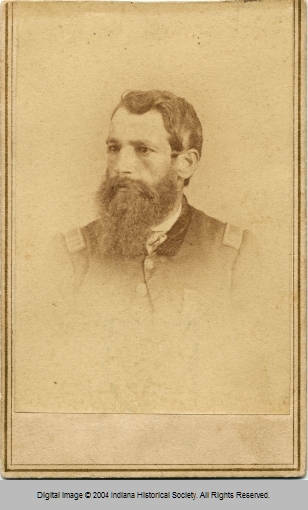 Edman Spangler was a stage hand at Ford’s Theatre, and although he only received a six year sentence, he was never really considered involved. It was an ‘eyewitness account’ that convicted him although that testimony was potentially contrived. The remaining three, all who received death sentences were more or less involved in both the kidnap and assassination plots. David Herold , although young and innocent looking, was heavily involved. He was infatuated with Booth and was a follower for sure. But he actively participated in all aspects of the plots. As well, he rode with Booth on the entire 12-day escape run and had also accompanied Lewis Powell to the Seward house on April 14. His involvement was well established and the military tribunal found it fairly easy to condemn him. George Atzerodt was involved in the kidnap plots and assassination planning. Unfortunately for him, when kidnapping turned to assassination, he told Booth that he would not kill but still went along with the preplanning. He was supposed to kill the Vice President but instead, drank heavily that night and claimed to have walked the streets of Washington DC. Incriminating evidence was found in his hotel room which more, or less, condemn him to death. Finally, Mary Surratt was the also convicted and sentenced to death. Her involvement will always be a contentious issue amongst historians. Most I’ve spoken with believe she was involved in some capacity (and probably had knowledge of what was going on) but proabably should not have been enough to condemn her? The person they really wanted was her son, John Surratt (he is on the early Wanted Posters). Unknown to authorities, he had escaped to Europe after the assassination and was not brought back to the United States until two years later. By then, the executions and assassination were already being forgotten by the public and when he eventually went on trial (this time a Civil Trial) there was not as much uproar and fanfare. Due to a poor job by the prosecutor, he was eventually released due to a hung jury. Some believe his mother was hanged because they could not get him to turn himself in to save her. In fact, John Surratt was hiding in Canada at the time and had been assured by his associates that his mother was perfectly safe. The government would never hang a woman! He found out about the execution a short while later and then eventually made his way to Europe. President Johnson stated that he would not commute her sentence because when he referred to her residence where the plotting had taken place that it was the ‘nest that the assassination plot was hatched’ (or some verbiage very similar to that). Keep reading on it. But don’t get discouraged if you find conflicting information. There is a lot of it out there. Due to unforseen issues with my computer, I am unable to view the third and final chapter 3 on the Arsenal prison. When exactly was the prison demolished and what presently occupies its former site ? Hi Gene: Thanks for writing. It was not your computer that didn’t allow you to see the 3rd installment of that story. In fact, John Elliott, my current writing partner, never completed the 3rd installment because we had decided to write our book by then. That article, with editing and the final chapter will be part of our book called Inside the Walls: The Final Days of the Lincoln Conspirators. We are cautiously optomistic that the book will be ready for release in March, 2011. However, let me answer your other questions so I don’t keep you waiting. 1. The Arsenal Penitentiary was demolished in 1867, just two years after the hangings occurred in 1865. The bodies of Mary Surratt, Lewis Powell, David Herold, George Atzerodt, John Wilkes Booth and Henry Wirz (all buried at the prison) were dug up and moved to a building just south of the penitentiary called Warehouse 1. They were reburied there together until 1869 when President Johnson release them back to their families for proper burial. The current site is Fort McNair, which is also the site of the National Defence University. Because it is a military base, it is restricted to the public. One portion of the penitentiary remains standing. It is the three story building that was part of the eastern most portion of the penitentiary main building. It is called Grant’s Hall or Building 20. It is the location of the conspirator’s trial. Currently that building is under restoration to bring back the third floor trial room back to as much of its original condition as possible. However, due to certain architectural changes made over the years, and fire and safety conditions, it will never be exactly the way it was. But we are all watching the progress carefully and really hope that they do a good job with the construction. To the south of this building are four tennis courts. The scaffold stood on the north eastern most part of Court #4 (not on the playing surface). If you get a chance to go to Washington, try to go over to Ft. McNair. If you can’t get in, at least take a look at the outer brick wall that surrounds the complex. This red brick wall was constructed using the original bricks from the old penitentiary when it was dismantled in 1867. I hope this helps. If you would like more information on our book, please write me at outreach@awesometalks.com and request being added to our Book Update List. I will send you an update upon request. Have a great day and thanks for writing. In several books written about the executions, I read that Powell probably lingered the longest and in fact, raised his legs in an almost sitting position before he died. In one of the closeups of the hanging, Powell seems to be raising his bound arms. Hi Chuck. Always good to hear from you. You are correct. Lewis Powell (and David Herold) did not lose consciousness immediately after the traps were sprung. Of the ten photos known to exist from Alexander Gardner’s series on these executions, only one photo, called The Drop, shows the conspirators in motion. It was taken 2-3 seconds after the traps had been sprung. The motion you are witnessing in all of them, including Powell, is more likely caused by the momentum of the 5′-0″ drop they experienced. I agree that Powell’s arms look raised but this is probably due to his body tensing up during the initial drop rather than the first of his struggles beginning. The cloth ties around Mary Surratt fly out away from her body showing that the force of the drop was still very much evident. Upon closer examination, you can also see the movement of the striking beams and support props that have been knocked away. When I wrote this article back in mid-July, 2008 I believed it had merit as a question. Almost two years later, and much more research behind me, I completely believe that Rath was not being malicious at all and very much wanted Powell, who he very much respected and liked, to die a quick and painless death. The technology of humane hanging still hadn’t developed enough to save Powell and Herold from these ‘hard’ deaths. I have been studying the British way of execution for years now, and I think that Captain Rath probably had no idea what he was doing apart from having perhaps witnessed a hanging. In his recollection of the proceedings (published in McClure’s Magazine, October 1911, p. 626-636) he never says that he had an Army pamphlet or other written material to go by (in the 20th century there was indeed such a thing). In Britain, and in the year 1865, people would have been hanged by William Calcraft who dropped them three feet at most, thereby killing them through strangulation. 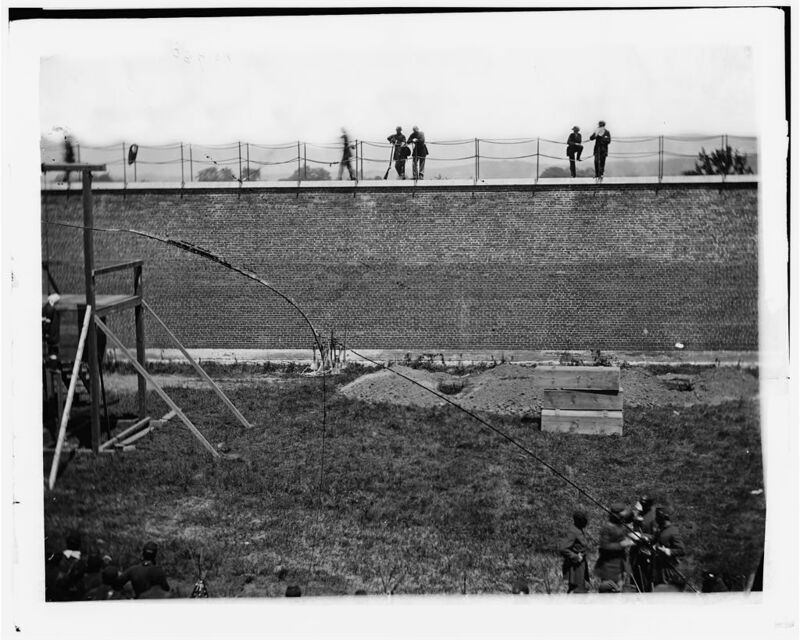 The British measured drop, from five feet to 8 feet 6 inches in length depending on weight and build was not developed until much later, and proficiency in applying the correct length was aimed at by sending the hangman trainees to a one week training course, and afterwards, by letting them work as assistants for years until they were allowed to work as “Number One” who was responsible for calculating the drop and fitting the noose. In Britain, the sheriffs of the counties were responsible for performing the executions (just as the sheriffs in the US were), but they were under heavy pressure from the Home Office to hire only hangmen whom the Home Office had trained. Many botched hangings in the US are the result of having, in many counties, no trained hangmen and then delegating the task to someone who was in no position to decline – but had no idea what he was doing. I suspect that precisely this was the case with Captain Rath. If he had known what he was doing he would not have allowed that three Secret Service officers did the noosing… He would have known that the position of the knot was crucial. In short: If two of the four “died hard”, it was because their build (neck) was stronger or their weight was smaller than appropriate for their drop. It was not Rath’s intention, but it was probably his fault – through ignorance. But this ignorance was nothing you could or should hold against him.